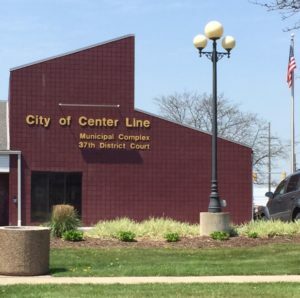 Center Line is a small close-knit community of 8,257 residents located in Macomb County in Southeast Michigan. Nestled inside the state’s 3rd largest city, Center Line is a small town in a metropolitan area. It was more than 100 years after the pickets were erected around the Fort at Detroit before the first settlers penetrated into Warren Township. There were two reasons for this delay; first, lack of roads, and second, the policy of the French to protect the fur trade by keeping the wilderness intact. The latter was accomplished by circulating rumors that the region beyond the riverfront was an impassable swamp. During the 1700’s and early 1800’s the only vehicle of transportation was the canoe and the only highways were the rivers and lakes. Therefore, the land along the river and lake shore was the first to be cleared and settled. Up until the 1820’s Warren Township travelers detoured around it, going miles out of their way to avoid its snake infested depths. Gradually, as land became scarce, the French, German, Belgium and Irish emigrants poured into the township. With great courage and determination, they set to work with spade and axe and felled the trees and drained the swamp. First named Hickory in 1837, changed to Aba in 1838, it became Warren Township in 1939. There are several theories regarding the name “Center Line”. Some are based on fact, others on fancy, but all tend to prove that Center Line was aptly named. There were three Indian trails leading from the fort at Detroit to other trading posts in the northern wilderness. The first was the river trail which followed the river and ended at Port Huron; the second was the Saginaw trail and ended at Mackinaw at the Straits of Mackinaw. Through the center of the two trails, the Indians had beaten a trail which followed the “center line” by the French. Eventually, this primitive trail became the main road traveled by the early settlers on their way between Utica and Detroit. It is now Sherwood Avenue. It was known as Center Line road also. A part of the road in Detroit, between Van Dyke at Grinnel and winding down to Harper, known as Cyril & Methodius, bore that name until sometime around 1945. Farms lined the road, and eventually a store and saloon made their appearance at the corner of Sherwood and Ten Mile Roads. The crossroads with such a “shopping and recreation center”, naturally became the meeting place of the local population. Center Line had just that sort of beginning. Kunrod’s Corner, as it was commonly known, became the news center for the area, and it was natural that community problems should receive their consideration over a frothy brew served by Mr. Kunrod. The fervor for a church of their own increased and the community leaders of around 1853 now found that the problem of location was not too easily settled. However, after much arguing and many property donations, a six acre site was acquired on Van Dyke, and those that wanted the church located on there won out. The church was built in 1854. The new church, a half-mile east of Sherwood, on Van Dyke attracted more farmers to the area. The closest other Catholic Church was Assumption Grotto on Gratiot at Six Mile Road, still a long way from Center Line. In stepping off the street car, one would encounter no buildings for about a block. The first place was Gus Millers with a barber shop next door. Then came Buechel’s old General Store and a little further on, St. Clement Church. Across Engleman, then called Church Street, was an old frame store that was Rinke’s hardware store. Further down Wilke’s Butcher Shop and Drug Store was Center Line’s entire business district. In 1924, some of Center Line’s leading citizens, Fred Endress among them, thought that self-government, at the village level, would provide better community living for them. The idea seemed attractive. It wasn’t long before the people of Center Line decided they wanted to incorporate. A committee was formed for the purpose of devising a village charter. On April 28, 1925, Ed J. Carney, Alex Schoenherr, Fred T. Wilson and Ed G. McKay were elected as Charter Commissioners. After spending much time at their work, they devised a charter and presented it to the governor for his signature. On July 11, 1925, Governor Alex J. Groesbeck signed the charter which was accepted by the voters on November 9, 1925. Source: Official Website of Centerline, MI. Copyright © 2012. City of Center Line, All Rights Reserved.